Philadelphia, PA – The Ontario Hockey League today announced that 41 OHL players were selected in the seven rounds of the 2014 NHL Draft held this weekend in Philadelphia representing just under 20% of the 210 players picked by all 30 NHL clubs. The 41 OHL players was part of 95 selected from the Canadian Hockey League with a total of 20 CHL players chosen in the first round led by defenceman Aaron Ekblad of the Barrie Colts who became the eighth straight player from the CHL to be selected first overall when he was chosen by the Florida Panthers. 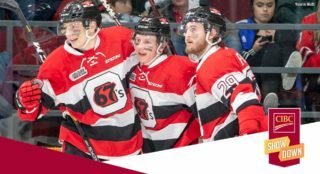 The first round total marks the league’s third highest in over 30 years matching 2008, 1998, and 1987, behind only the 2011 NHL Draft where 21 CHL players were chosen and last season when a record 22 CHL players were picked in the draft’s opening round. 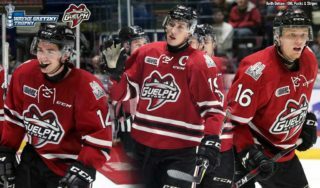 The 10 OHL players selected in the first round is the league’s second highest total in modern draft history following 11 players chosen in 2012, 2011, and 2008. The second round of the 2014 NHL Draft featured nine OHL players bringing the league’s two-round total to 19 of the first 60 players selected matching a league record in modern draft history set at the 2011 NHL Draft. 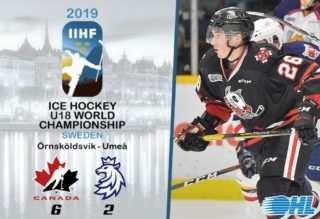 Of the 210 players selected, 124 were forwards (62 CHL including 26 OHL), with 65 defenceman chosen (28 CHL including 12 OHL), and 21 goaltenders (Five CHL including three OHL). The top player at each position was selected from the CHL including Ekblad who became the first defenceman since 2006 to be chosen first overall. Sam Reinhart of the Kootenay Ice was the first forward selected second overall by the Buffalo Sabres, and Mason McDonald of the Charlottetown Islanders was the first goaltender selected 34th overall by the Calgary Flames. 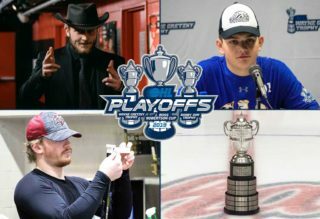 44 different CHL teams developed NHL Draft picks in 2014 including 18 OHL teams led by the Plymouth Whalers with five players selected matching the MasterCard Memorial Cup champion Edmonton Oil Kings and the Calgary Hitmen for most in the CHL. The Sault Ste. 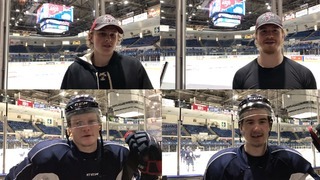 Marie Greyhounds had four players selected as did the Niagara IceDogs setting a franchise record for most players chosen in a single draft. 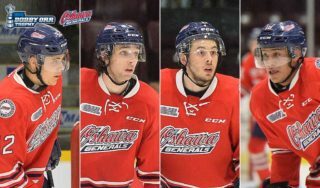 The Barrie Colts, Kingston Frontenacs, and Windsor Spitfires all had three players selected this season. 18 of the NHL’s 30 teams selected at least one OHL player led by the Stanley Cup champion Los Angeles Kings with seven. The Arizona Coyotes and Dallas Stars each picked four OHL players, while the Carolina Hurricanes and the San Jose Sharks each selected three. Following the 2014 NHL Draft, a total of 10,388 CHL players have been selected since 1969 representing just under 50% of all players including 2,198 OHL players representing over 21% of all players. For full NHL Draft results please visit nhl.com.